"I could see myself going to jail possibly at some point over the next 15 years, if God spares me, if I speak out. I am deeply concerned that today, defending the traditional meaning of marriage is almost considered ‘hate speech’ and branded intolerant. Such a response is undemocratic, closes debate and is highly manipulative. I am conscious of the historic place of the Archdiocese of Glasgow in the history of Christianity in Scotland and of its importance for the Catholic community in particular." 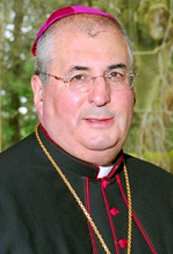 - Philip Tartaglia, Archbishop-designate of Glasgow.